The scandal is not about the many dedicated and passionate winemakers who are still, as always, committing their lives and their money to making fine, natural, unadulterated wines. It’s about the greed-driven controversies over wine additives, pesticides—France’s vineyards occupy 3% of farmable land and use 20% of the country’s voracious appetite for pesticides—and, in particular, the outrage that arose over the 2012 classification of the wines of Saint-Emilion, the most prestigious appellation of Bordeaux’s right bank. Saint-Emilion is an area increasingly dominated by big international investors, especially from China, who are keen to speculate on the area’s wines and land, some of which has increased in value tenfold in the last decade alone. In the 2012 classification, as Saporta shows, certain chateaux were promoted to a more prestigious class because of insider deals that altered the scoring system for the classification of wines into premier crus and grand crus. In a recent tasting in Chicago, most of the 2012 vintages of these “grand crus” came off an incredibly poor second to those from 2010. After reading this book, one must wonder if it was more than the growing season that caused the discrepancy. The wine scoring system in France now takes into account the facilities of each chateau’s tasting room, the capacity of its warehouse, and even the size of its parking lot. With these new suspicious categories, the quality of the wine counts for a mere 30 percent of the total score for the wines of the top ranking: premier grand cru, classe A. As for the insecticide-pesticide fiasco, the author says there’s a whole bureau set up specifically to devise ways to disguise the residues of such chemicals in some fine wines. One method they invented couldn’t be used because, when it removed the signs of the residues, it also removed the color of the wine. Plus, the book says that some vineyards practice environmentally sound growing only on the vines in areas immediately surrounding the estate/villa where visitors can see, yet freely use chemicals and other unsafe practices on the rest of their properties. Perhaps less surprising is that some well-known wine journalists (for example, from prestigious wine publications) are paid to give good reports and/or are presented with wines specially made for them that are not representative of the whole of a vintage. With huge profits at stake, this sort of thing happens in many industries. Still, wine lovers dearly want to believe in the sacredness of the winemakers’ process, labeling and products. 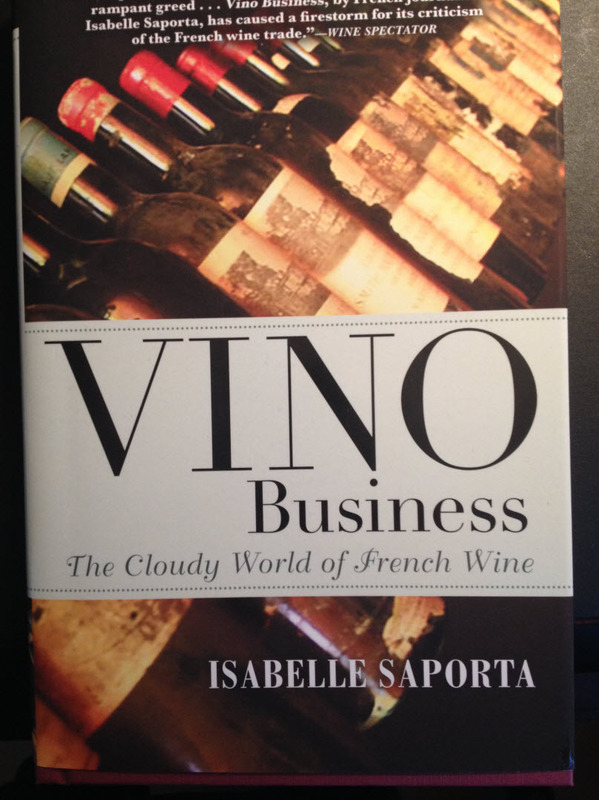 For Vino Business, Saporta conducted two years of research and reporting to reveal the secrets of the money-driven side of Bordeaux. But she gives full credit to the many winemakers, large and small, prestigious and unknown, who are focusing on taste to make beautiful wines while respecting the environment. Her book offers a unique portrait of the good and bad in French viticulture that’s sure to fascinate eonophiles and appeal to anyone who likes a good scandal.